On March 24, 2011 Curling and Flat Irons by Herstyler have been recalled by Health Canada. 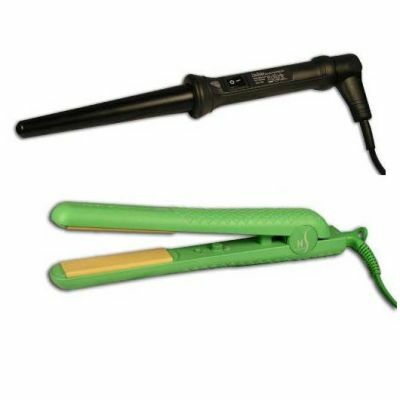 Grande curling iron is a 30 centimeter long tourmaline ceramic curling iron without a clip that comes in black, pink and purple. Colourful Seasons flat iron is a 3.8 centimeters (1.5 inches) wide ceramic flat iron that comes in black, pink, purple, green and blue. The recalled irons are not certified to Canadian standards and have not been evaluated for safety hazards. They may pose a fire hazard to consumers. At the time of the recall neither Health Canada nor R.E Royal Trading Inc. has received any reports of incidents or injuries related to the use of these irons. You should immediately stop using the recalled irons and contact R.E Royal Trading Inc. to exchange the products with certified products of a different brand. For more information, you may contact R.E Royal Trading Inc at 1-888-800-9721. Approximately 311 affected units were sold at Hair Majesty's Style kiosks located in shopping malls across Ontario. The affected units were sold from August 2010 to December 2010. These curling irons and flat irons were manufactured in China. The importer is R.E Royal Trading Inc. The retailer is Hair Majesty's Style.